Victims of traumatic brain injuries are often left dealing with the loss of physical and mental function, and treatment, which requires require extensive medical assessments and support, may be required for the rest of their lives. Head trauma is the most common cause of death among young Canadians, with traumatic brain injuries being the leading cause of long-term impairment. The unpredictable nature of traumatic brain injuries makes it difficult to submit a successful injury claim that truly reflects the victims care needs. Medical diagnoses can be imprecise which makes it all the more of a challenge to present an accurate representation of the victim’s needs and, thus, the amount of compensation they are entitled to. Accidents that result in injuries of the spinal cord can result in para/quadriplegia, which have devastating emotional effects on the victim and their family. A spinal cord injury victim typically will have to change their life completely in order to adjust to their condition, which has an uncertain chance of recovery. Home modifications may have to be implemented in order for the victim to regain some of their mobility and some independence in their day-to-day activities. Caring for a victim of a brain or spinal cord injury can put undue emotional and financial stress on the victim’s family and can quickly become overwhelming. Having an experienced legal team is of utmost importance when dealing with a spinal cord or traumatic brain injury claim. Medical costs, loss of wages, and future care costs all have to be evaluated in order to determine the appropriate amount of compensation the victim is entitled to. The lawyers at KPC Injury Law have represented brain and spinal cord injury victims from all over the province and have recovered of millions of dollars in compensation for victims and their families. If you have sustained a traumatic brain or spinal cord injury in Ontario, you deserve compensation. Some of KPC Injury Law staff has been previously employed by various legal teams at insurance companies, banks, public transportation companies, and government agencies. This vital experience gives us the edge over the competition and allows us to stay one step ahead of the opposing legal representatives. Contact KPC Injury Law for a free consultation, we will protect your rights and ensure that justice is served. You don’t have to pay a cent until we win your case, so call us today. 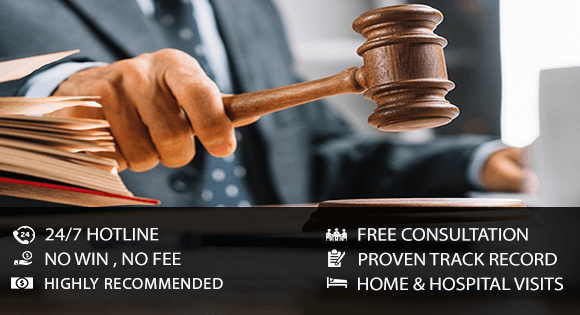 KPC Injury Law has a proven track record of success and has recovered some of the highest settlements in the history of Canadian law. We are legal professionals that you can rely on during the most difficult times of your life.